Last Friday I went on a hen do for my friend Lisa. We went for breakfast first and then we went out on a private Yacht for the afternoon. There are some seriously posey people on boats! Here's what I wore on my face to make my make-up heat and waterproof and last the day. Clockwise from top; Too Faced Pink Leopard Brightening Bronzer, Illamasqua loose powder in 00, Benefit BrowZings, Real Techniques Expert Face Brush, Carmex Lip Balm, Nars Velvet Gloss Lip Pencil in New Lover, YSL Touche Eclat, Lancome Hypnose Star Mascara, Anastasia Lash Genius, Laura Mercier Tinted Moisturiser compact. How beautiful is this bronzer by Too Faced? I just love this compact. I dusted this over my cheeks and temples and nose to add a hint of bronze. It's quite shimmery so you only need a little. I have been using this Illamasqua loose powder for a couple of months now to set my foundation every day. Some days I love it as it just mattifies my complexion but other days I worry it leaves me looking a little ashen and washed out because it is colourless (white). It's finely milled and lasts ages but it's difficult to travel with it as the powder goes everywhere and when you tip the compact over the lid gets full of powder. After moisturising I swept a little of YSL Touche Eclat under my eyes and blended. I then used the Real Techniques Expert Face Blush to apply the Laura Mercier tinted moisturiser. Using the brush gives it a really nice finish and really evens out your skintone. I then applied the Illamsaqua powder and Too Faced bronzer and then filled in my eyebrows using the Benefit BrowZings and an angled brush from Mac. I didn't apply eyeshadow, just one layer of Lancome Hypnose Star mascara. Once this had dried I coated the lashes with Anastasia Lash Genius-this is a wonder product and makes any mascara waterproof! Your mascara won't smudge in the heat with this product on it. Nars Velvet Gloss Lip Pencil in New Lover is perfect for a day out like this. 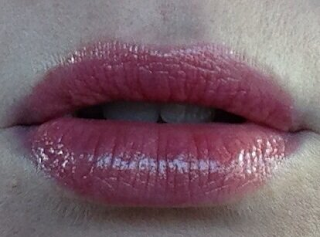 I wanted something glossy and natural but without the sticky texture lip gloss generally gives. This lip pencil gives super shiny glossy colour but without the stickiness of real lip gloss. This shade is beautiful, a corally pinky red with the tiniest hint of gold. This would be a great every day light make up look too, especially for the summer months! Oh my goodness your life looks so amazing! I'd love to be on a beach right now!